“Change View Scale” makes the lyrics view larger or smaller. 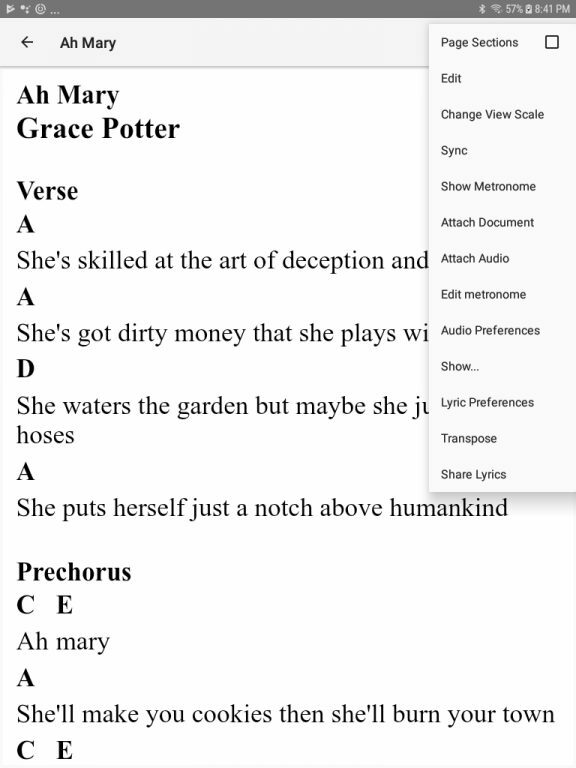 The benefits of this feature allow the text of the lyrics to be larger or smaller. If you want to change the font style for various parts of the lyrics then use the Lyric Preferences. 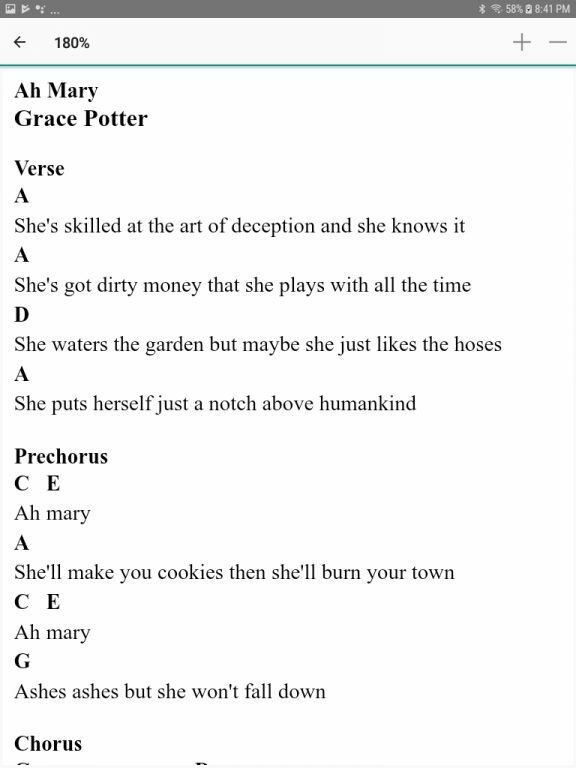 To make the text larger, tap the upper right of the lyrics screen. To make the text smaller, tap the upper left of the lyrics screen. If you upgraded to version 3.74 “Change View Scale” will be disabled to support backward compatibility. Open the main menu of the app and tap “Preferences”. Pinch and zoom has been disabled because of breaking changes by the Android framework. In addition, disabling pinch and zoom allows double tap to start auto scroll without the lyrics zooming in. When the scale changes it only effects the lyrics that are in the current view. To use this feature tap the menu button in the upper right while you are on the lyrics screen. Tap “Change View Scale” in the menu. The toolbar at the top will have + and – buttons. These 2 buttons will increase or decrease the scale of the view. Change the scale of the lyrics view.